That's a wrap. It is the final day of the 2018 Esri Developer Summit. And we had so much fun. Here are some highlights from the final day. 18 pre-summit training courses with many hands-on for Python, Angular, Xamarin, Typescript, AppStudio,Pro SDK, Insights, etc. Didn't get to attend? Good news, we have other Developer Summits already scheduled. 24 March - Washington D.C. Excitement during the plenary - apparently there was construction for new solar panels being installed during the plenary and the house lights came on. 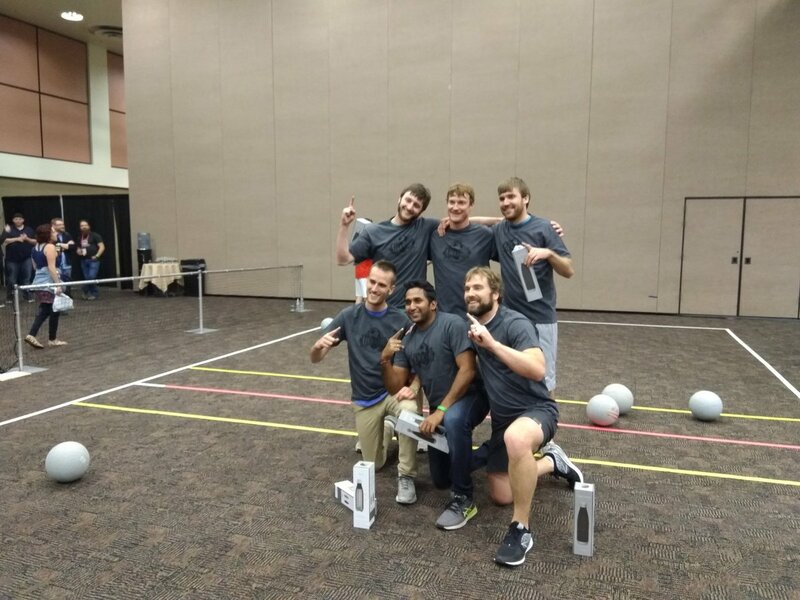 Congratulations to Team DTS on their Dodgeball victory. The festivities of the night before are cleared out. Did you enjoy the dipped donuts and cotton candy treats? Left over attendees take in a few last tech sessions and enjoy the warm Palm springs pre-Spring temperatures of 86°F while many others begin their trek home. The closing session was great. Good food, great conversation, new connections, and many questions answered by the panel of speakers. Euan Cameron was even challenged to draw an ArcMap on a whiteboard. Several attendees posted Q&A on social media and video while at DevSummit. This question had the entire panel answering. Thank you steve gourley for a great question. Still have questions after DevSummit? You can post your questions below and we will help get them to the right person or group for an answer. Your feedback, conversations, connections, and presence is truly appreciated.